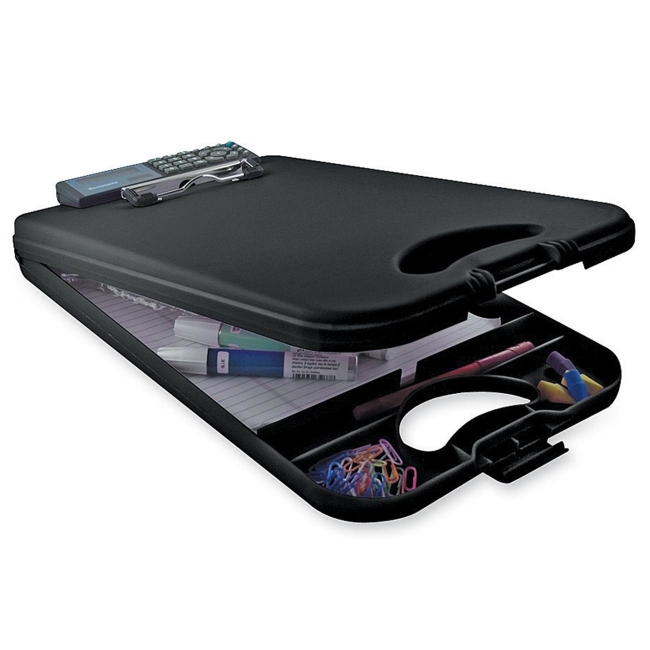 Portable desktop with calculator offers a bottom opening that allows convenient access. Strong nickel-plated steel spring clip with rubber corner grips holds a sheet or pad of paper securely. Clasp secures case closure. Large internal storage space holds pads, pens and more. Portable desktop features a large smooth writing surface and low profile clip for easy storage. Made with durable polypropylene. Calculator is solar-powered and battery-operated.